Home > PHOTOS > 18-year-old pregnant mother-of-one and her husband reveal why they went into robbery . 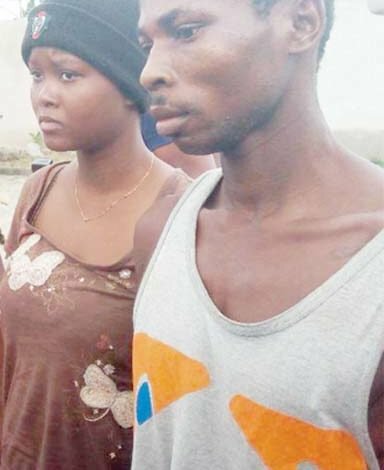 18-year-old pregnant mother-of-one and her husband reveal why they went into robbery . An 18-year-old pregnant mother-of-one and her husband were arrested by the police after robbing a boutique, at gunpoint, on September 21, 2017. 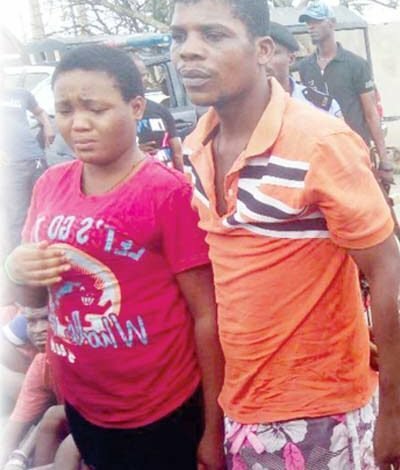 Divine Preye Idan, a housewife, told the Police in Bayelsa State how she assisted her 35-year-old husband, Idan, to rob the boutique located in Biogbolo-Epie, Yenagoa. Divine confessed that they hired the locally-made gun they used during the operation from another couple, Iro Royereyigha, 30, and Abani Perelebina, 18. Divine, who has a child and is expecting another, told police that after negotiating for the gun with an initial deposit of N1000, they proceeded for the operation, with a promise of paying up the remaining N100,000 after the operation. Divine’s husband, Idan, corroborated his wife’s account of their criminal act, but said it was their first time of engaging in robbery. He said they were dealing on timber adding that hardship drove them into robbery, The Nation reports. He appealed to the police to forgive them. Menwhile, Iro, who hired the gun, said temptation led him to commit the crime and to involve his wife in the criminal act. Iro, a father of 11 children from two women said he got the gun from a friend and handed it over to his second wife, who subsequently gave it to Divine’s husband. 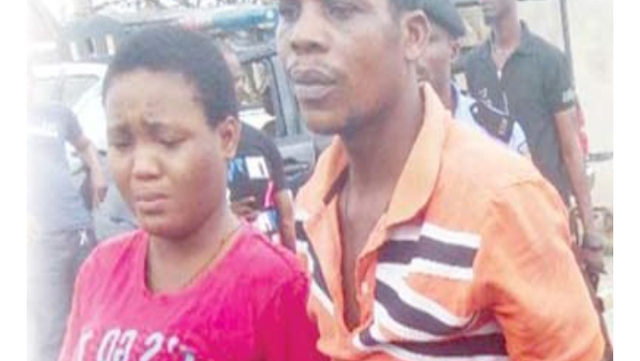 Parading the couples, the Commissioner of Police, Amba Asuquo, said the Divine and her husband, Idan stole clothes and cash at gunpoint but were apprehended in an attempt to escape from the scene. He said both couples would be charged to court after investigations and lamented rising parental irresponsibility in Bayelsa.